Higher education offers one of the surest pathways out of poverty and homelessness. Yet youth who experience homelessness face barriers to accessing financial aid. They often lack the support to apply to, enroll in, and complete their post-secondary education. NAEHCY works to remove these barriers, and to assist youth, educators, service providers, and advocates in their efforts to make higher education a reality. Get your questions answered promptly by calling our Higher Education Toll Free Helpline! 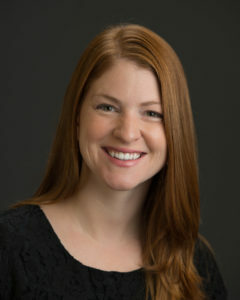 Dr. Stacey Havlik is an assistant professor in the Department of Education and Counseling at Villanova University, where she teaches graduate and undergraduate level school and clinical mental health students. She received her Ph.D. in Counselor Education from the University of Maryland. As a former school counselor, she specializes in training pre-service school counselors and other school personnel to be leaders and advocates to meet the diverse needs of all students. Her primary research interests include investigating the academic, social/emotional, and career/college development and needs of students experiencing homelessness and first generation college students. She has published and presented her research nationally and internationally. The Higher Education Opportunity Act, passed in August 2008, contains numerous provisions to increase homeless and foster students access to postsecondary education. The Every Student Succeeds Act of 2015 includes new components that will directly assist homeless students’ transition to higher education, including new requirements that school counselors provide advice to homeless youth to prepare and improve their readiness for college, and that school district homeless liaisons ensure that unaccompanied homeless youth are informed of their status as independent students for college financial aid and obtain verification for the FAFSA. Who Can Make a Determination of Unaccompanied Homeless Youth Status? This NAEHCY tip sheet lists the four groups of professionals authorized to make a determination that a student meets the definition of an unaccompanied homeless youth or is a self-supporting youth at risk of becoming homeless for filing the Free Application for Federal Student Aid (FAFSA). This template provides local homeless education liaisons, HUD-funded shelter representatives, and RHYA-funded shelter representatives with a sample template to provide a determination of a student’s status as an unaccompanied homeless youth for the purpose of applying for federal financial aid for higher education using the FAFSA. This form, developed collaboratively by NAEHCY and the National Center for Homeless Education (NCHE), is to be completed by a college financial aid administrator (FAA) who is evaluating a student’s eligibility for independent student status. It provides guidance to assist FAAs in making a determination in cases where a student, seeking independent student status as an unaccompanied homeless youth, comes to the attention of a FAA and a prior status determination by a local liaison or shelter is unavailable. This tip sheet provides a step-by-step guide to unaccompanied youth for filling out questions that refer to their status as an unaccompanied youth without stable housing. Guidance is given for filling out the online or paper version of the FAFSA. A list of additional resources is also included. In July 2016, the U.S. Department of Education announced that it will make two substantial changes to the Free Application for Federal Student Aid (FAFSA) to better support unaccompanied homeless youth. First, beginning with the 2017-18 application that comes online this fall, the Department will change the text on the FAFSA on the web to be more supportive of unaccompanied homeless youth. Second, for the 2018-19 application, the Department will remove the definition of “youth.” This change will allow unaccompanied 22- and 23-year-old applicants to indicate that they are homeless or at risk of being homeless. Read more. For the 2017-18 academic year, students will be able to complete the Free Application for Federal Student Aid (FAFSA) on October 1, 2016. Read more about why this change is extremely important for homeless youth. Read more.